At least one illness has been reported. 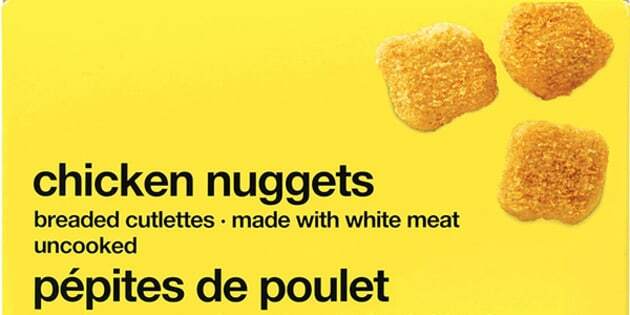 OTTAWA — Loblaw Companies Ltd. is recalling certain No Name brand Chicken Nuggets due to possible salmonella contamination. The nuggets were sold in 907 gram packages (UPC code 0 60383 89685 0) and should be thrown out or returned to the store where they were purchased. The Canadian Food Inspection Agency says there has been at least one reported illness associated with the product. Symptoms of salmonella poisoning often include fever, headache, vomiting, nausea, abdominal cramps and diarrhea. Long-term complications can also include severe arthritis.